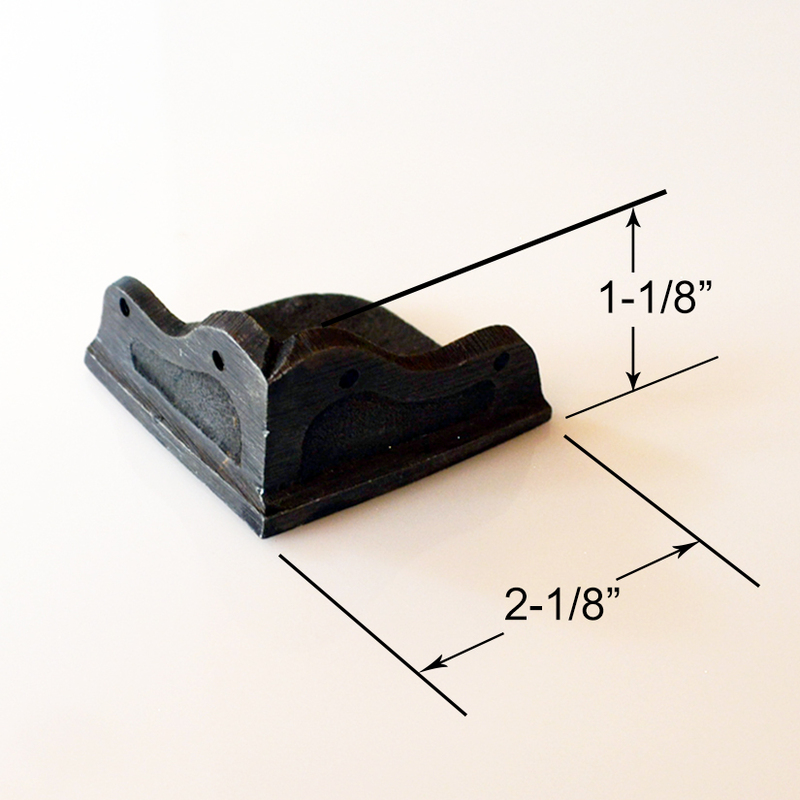 Our Metal Box Feet/Bracket will work great for that unique piece you're trying to make. Exclusively made for us, we designed a set of feet that look industrial, steampunk, shabby, etc., and add a nice unique touch to any project. This smaller version will also work as a top corner bracket (for looks and protection). Please look at our photos and see what we used them for. Our Mount Everest Box was a huge hit and the feet are what set this box apart from all others. Combined with our large Metal Box Feet, you can create your own unique style. Add our gauges, switch covers, and other accessories to your box and you've got a unique piece no one else has! Please keep in mind that these are hand-made and have scratches, nicks, embellishments, etc., and are not perfect. That's the way we make stuff. If you want perfect products, go to those big box stores and buy their cheap mass-produced products. Please Note: As you can see in a few of the photos, we show these metal box feet mounted on boxes. This listing is for one set of four (4) feet and do not include mounting hardware or any actual boxes. The pictures are for photographic purposes only in order to depict optional ways this product can be used.